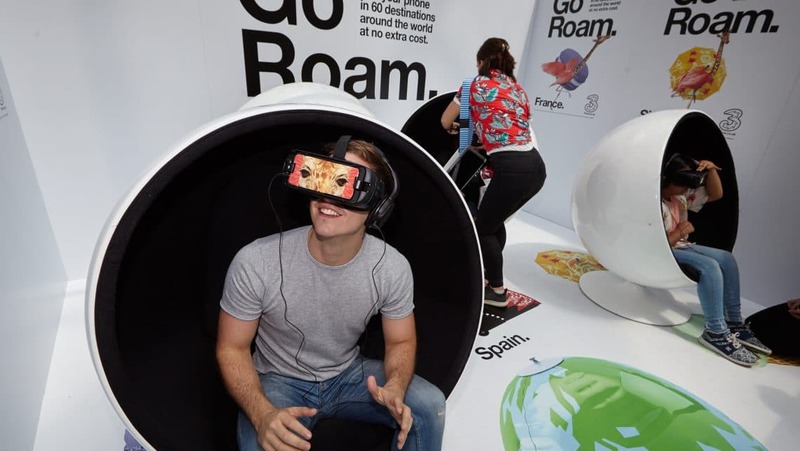 This weekend Ambient launched the ‘Go Roam’ VR experience for mobile network provider Three. The experience looks to promote the brand’s unique ’Feel at Home’ messaging, which positions them as the only network that allows its customers to freely use their mobile data at over 60 destinations across the world. To embody the freedom of ‘Go Roam’, Three recently launched a humoristic TV advert which introduces an entirely new breed; the Giraffe-Amingo. The ad opens with a wobbly and nervous-looking giraffe, magically having its bottom-half replaced with the feathers and legs of a flamingo, turning it into a confident Giraffe-Amingo. The ‘Go Roam’ campaign further brings the Giraffe-Amingo to life by allowing customers to experience the stunning visuals from the ad through an engaging VR experience, taking users on a fun journey through holiday destinations across the world. The experience looks to illustrate the freedom and joy that comes with being able to roam for free when travelling abroad. While engaging in the VR experience, participants are challenged to count the number of Giraffe-amingos spotted, for a chance to win a Samsung Gear (VR3) and a Samsung Galaxy S8. Ambient was tasked with creating and delivering the end-to-end VR solution for this unique experience, which marks an exciting development for the agency as we begin integrating real world and virtual brand experiences to deliver truly aligned and effective experiential marketing strategies, taking advantage of the best of both worlds!